Hello again! It’s Julia, gladly stepping in for Sarah whenever she’s off on another amazing adventure or just needs a more American perspective (just kidding on that one). 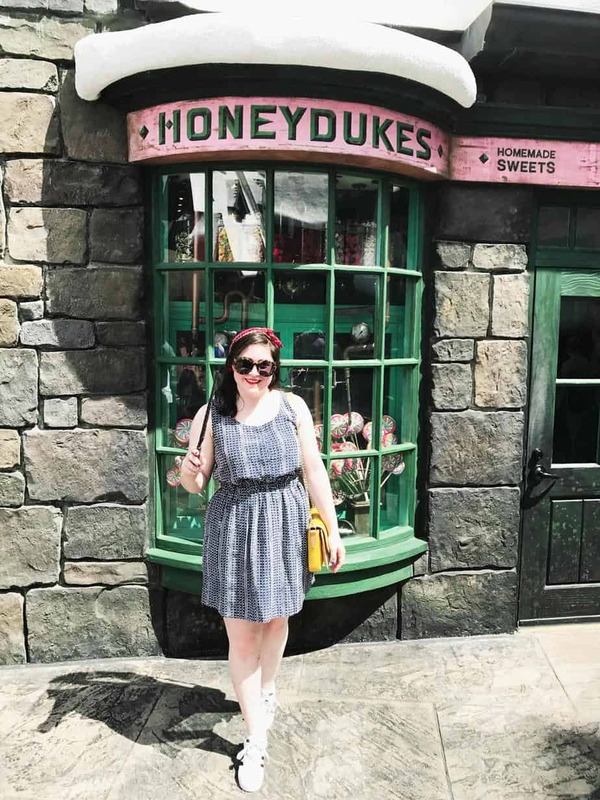 While I didn’t get to spend my spring break in Morocco or Barcelona or wherever Sarah is now, I did get to go to the Wizarding World of Harry Potter! I read a lot of guides before I went (because I wanted to make sure I got everything in! ), and so now I’ll present to you my own top tips! WHEN: While planning is essential for just about every trip, I’d say it factors in even more in “specialty” trips like this one. If you’re not aiming for a specific time, try to book for off-season dates. Anytime in the summer will surely be crowded, and during spring break, too. I’d recommend booking a trip for the first two weeks of March or in late April, early May if you’re looking for springtime. I also imagine the park would be amazing and not too crowded in October! HOW LONG: Some of the guides I’d read ahead of time said you only needed one day to see Harry Potter World. 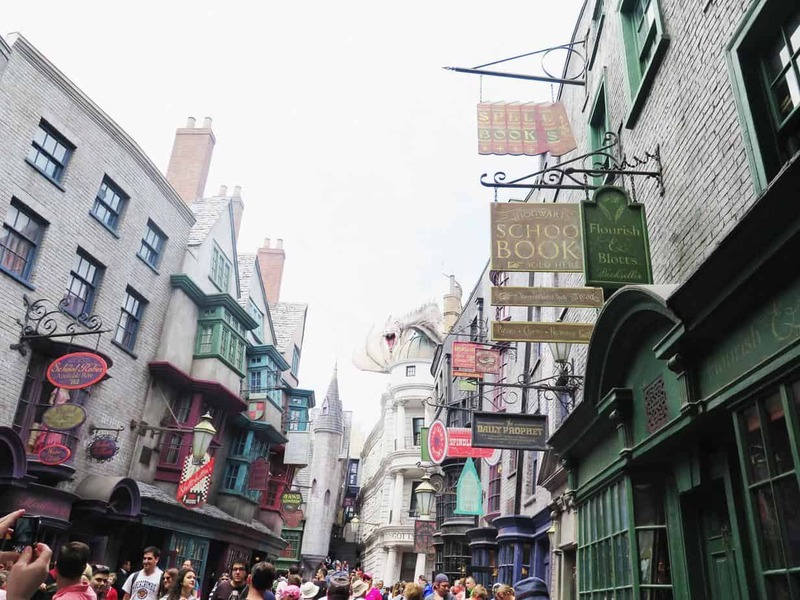 And while it is true that both parks (Hogsmeade and Diagon Alley) are small, I was really grateful we had two full days to explore (so get the multi-day tickets). 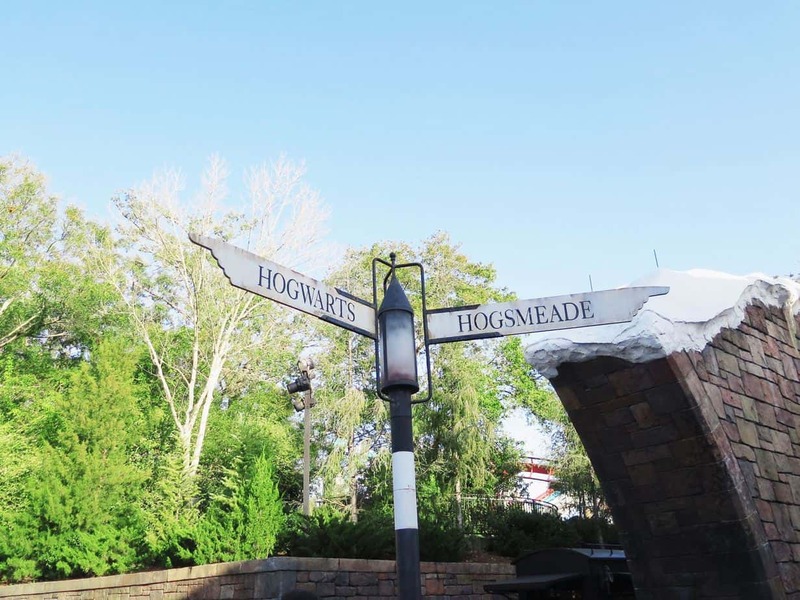 Also, you need to make sure that when you’re booking tickets that you buy the park-to-park tickets since Harry Potter world is split between Universal Studios and Islands of Adventure. 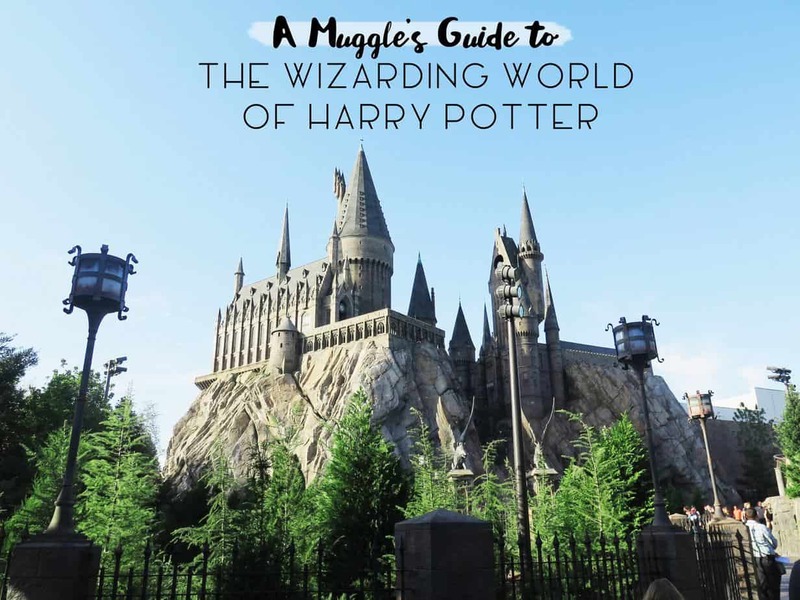 Essentially we spent one day in each park, but you’ll want to make sure you take the Hogwarts Express to and from each park! We only got to ride it once (it’s different depending on which way you take it!) because it had maintenance problems the next day. So I’m glad we got it in at all! It’s important to check out Universal’s hours of operation since they change with the seasons. WHERE: As for where to stay, I really recommend an on-site hotel. 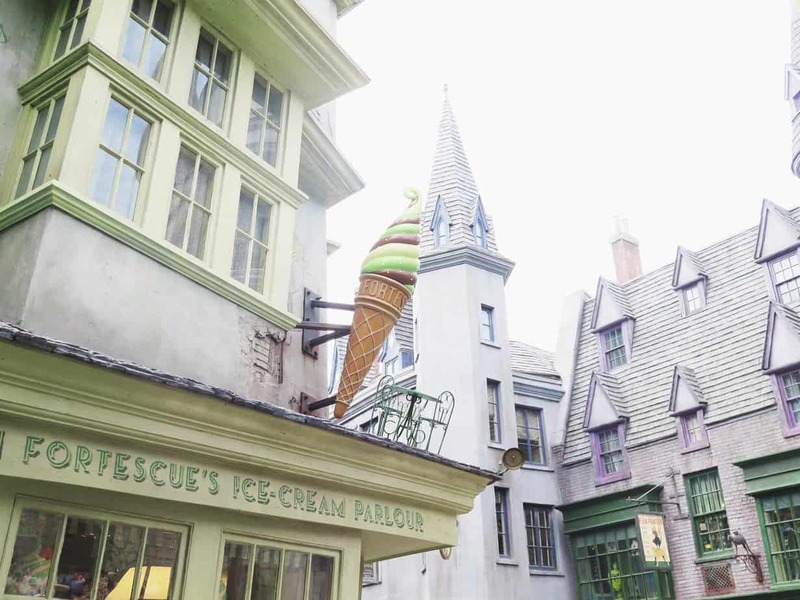 All of the Universal on-site hotels provide the benefit of early admission to the Wizarding World of Harry Potter (one hour before). We stayed at Loews Portofino Bay Hotel, which was Italian-themed and super nice. Staying there allowed us both the early access to HP World and an express pass (cut the queue) for the other Universal rides (doesn’t work at HP unfortunately). Plus it had some of the best food we had on the trip! I really encourage staying on-site – having those early admission benefits really made all the difference. We were able to get into the park, ride the rides twice, and walk around all before the doors officially opened. For all of this planning stuff and more, I found the Universal Magic Guide app to be really helpful! It gives you a map, the park hours, and updates the waiting times on the rides and attractions. Our first day, we hopped on the complimentary ferry and used our early admission tickets to get into Hogsmeade at about 7:50 am. 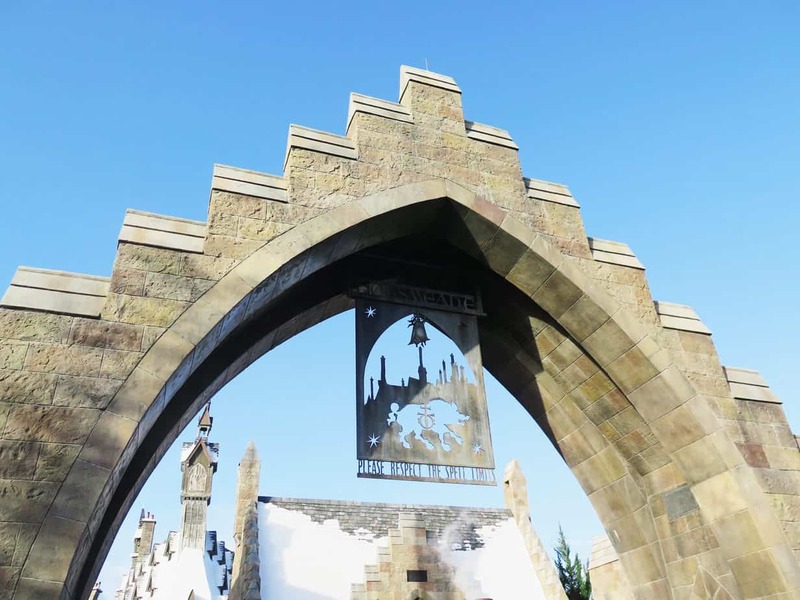 Although there were other visitors with early admission passes, it really was incredibly empty when we got to the park – perfect for those Instagram shots 😉 We were going to head straight for the castle when I saw that the line to Ollivander’s was basically nothing. So we got in line to see the “show” which is a little fifteen minute thing where Ollivander picks someone to test out wands. (Spoiler alert: I did not get chosen. Wah.) THEN we headed straight to Hogsmeade’s main ride, Harry Potter and the Forbidden Journey. 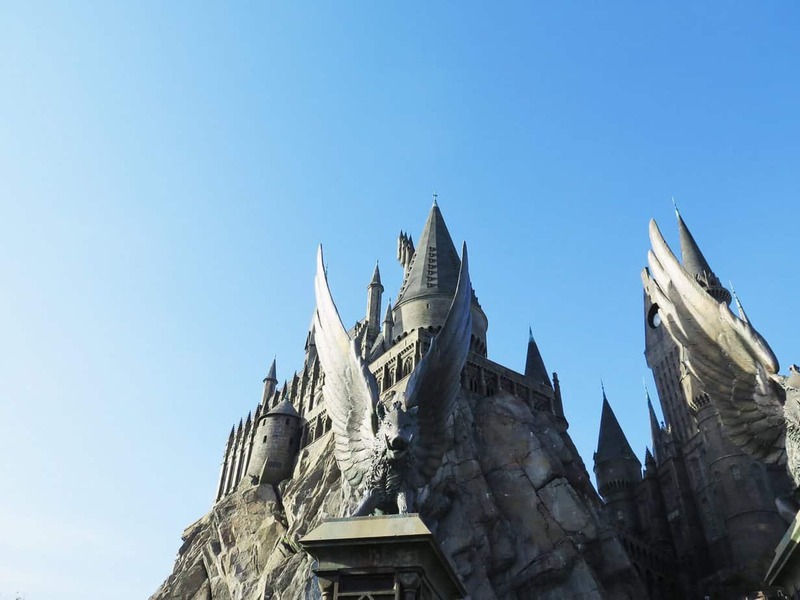 The ride takes you through Hogwarts Castle, and you get to see real props and sets from the movies, a talking Dumbledore, and a certain magical trio. (You can also just take walk around the castle in a shorter line if you don’t want to do the ride.) 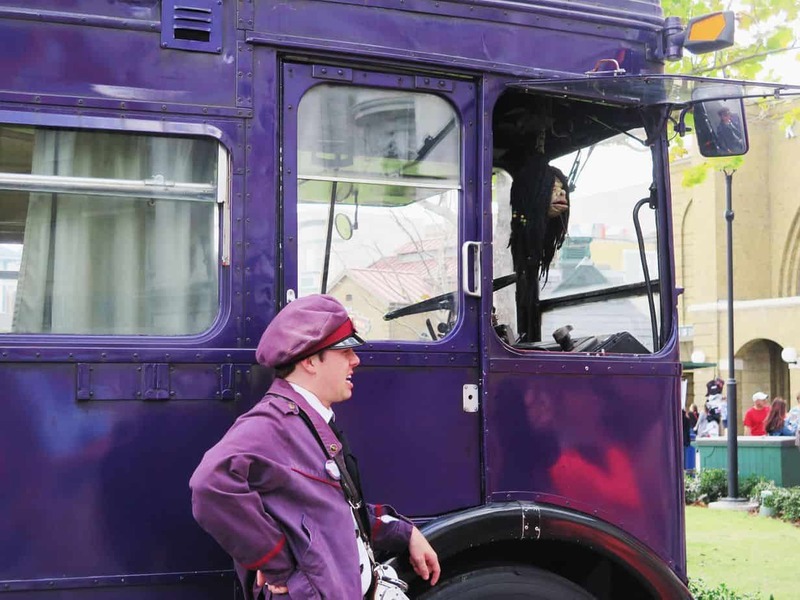 Then you strap in to a sitting ride and watch the projections on the walls as you swoop around the Hogwarts grounds, step into a Quidditch game, and even face some dementors in the Chamber of Secrets! This ride was definitely my favorite of them all – the effects were amazing and the physical ride itself was a lot of fun. Full disclosure: I’m terrified of roller coasters. Hate ’em. So I completely back this ride because I was able to ride it three times and never feel sick! Exiting through the gift shop, of course, you end up back outside and there’s another ride right there: Flight of the Hippogriff. By this time the park was open to the public so there was a bit of a line. This ride is basically a baby roller coaster – I actually found it a bit boring haha! But it’s cute and outdoors, so nice to enjoy the weather! This park’s third ride is the Dragon Challenge which is a roller coaster themed to the Triwizard Tournament. This ride looked insane. I did not try it. Thinking about it gave me a stomachache. It loops and goes too high and backwards and ugh, too much!! But uh, go for it if that’s your thing? 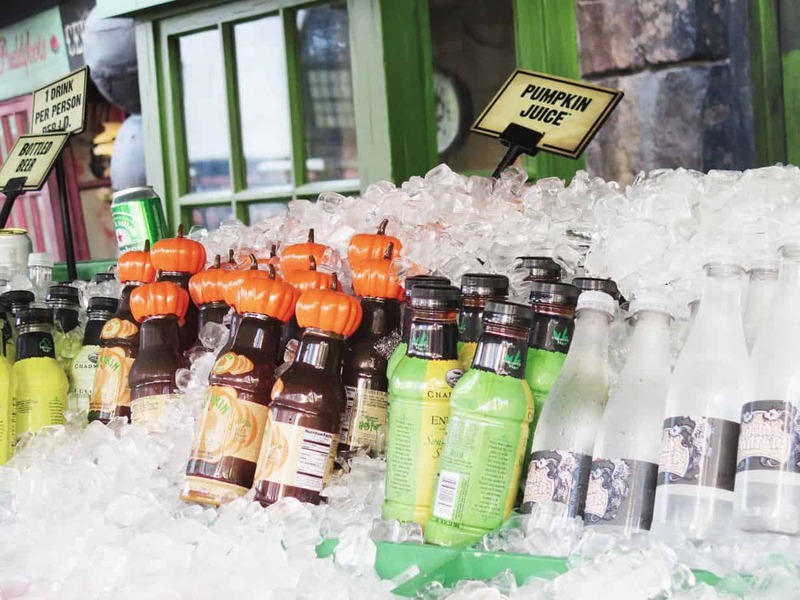 After the rides we made our way to the Three Broomsticks for breakfast. I’ll be honest and say it wasn’t anything too great – scrambled eggs and sausage, porridge, etc. I’m sure their lunch and dinner menu is a bit better, but it tied us over until we got some Butterbeer. 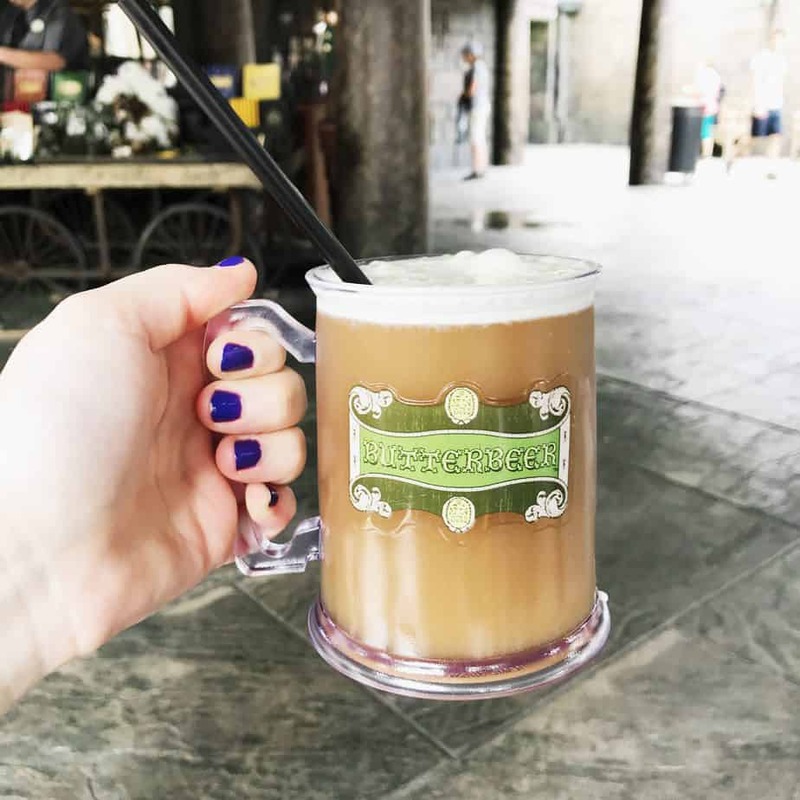 Oh, sweet, sweet Butterbeer. I don’t care what anyone says, the frozen is the best. Ugh, I honestly could drink like three a day. After fueling up we just went exploring! 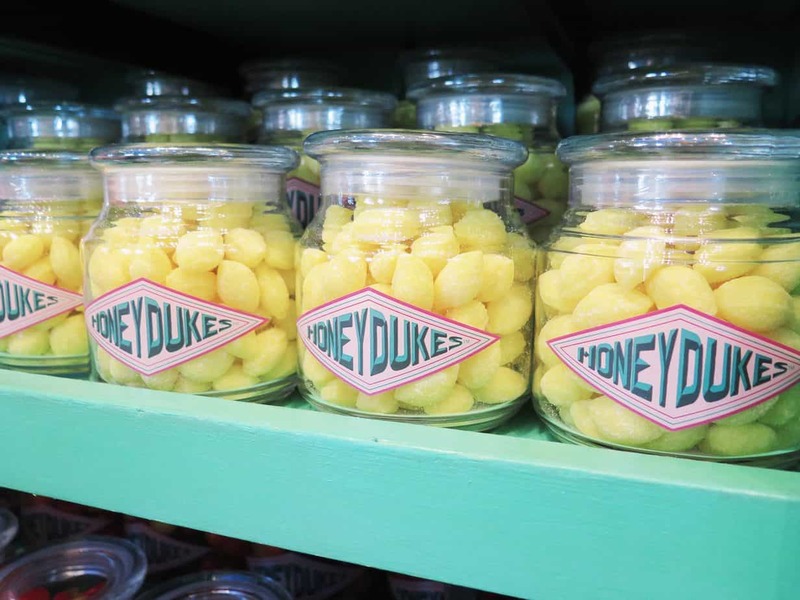 Honeydukes is very cute and all of the treats actually looked pretty tasty! Most of the storefronts are really just that: fronts, with no actual building. But if you buy an interactive wand at Ollivander’s you can do spells! I really recommend it – it’s silly but still fun. 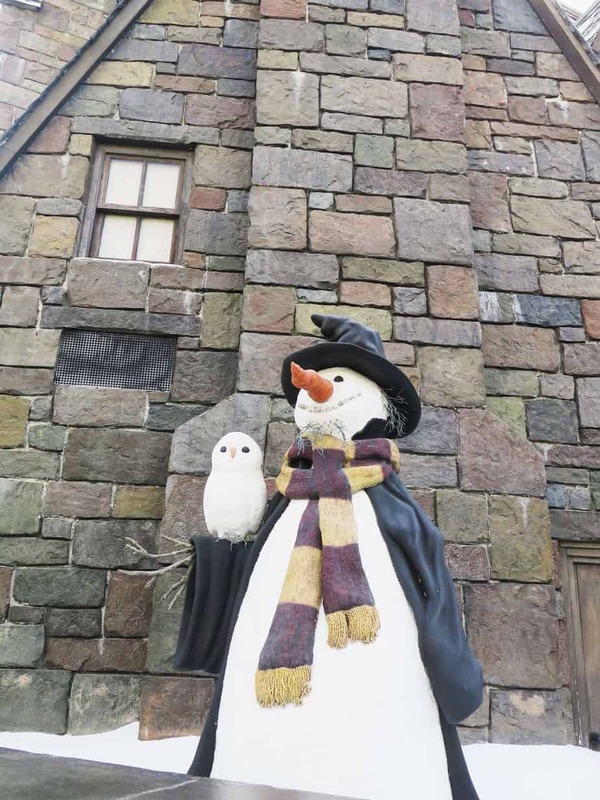 In Hogsmeade, you can make plants come alive and chocolate frogs appear and more. You can also mail letters from the Owl Post or, if your timing is right, catch a show on the stage. 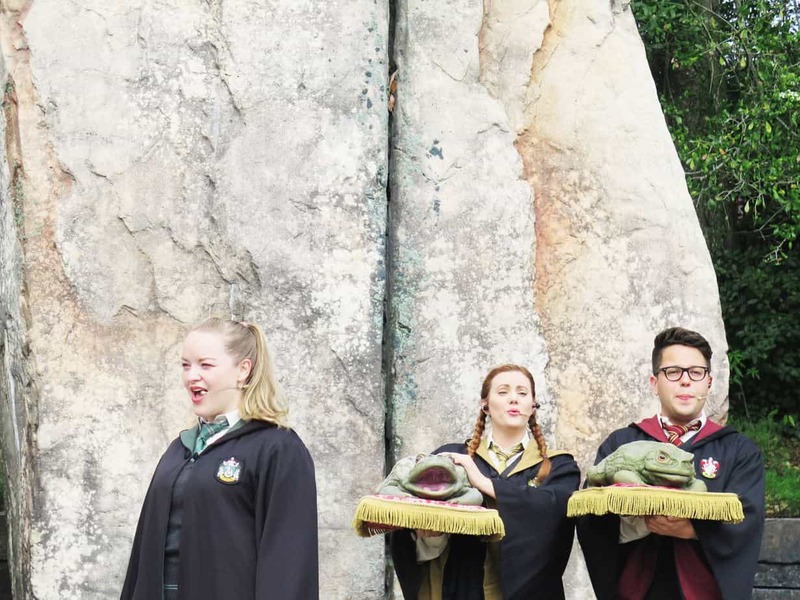 We happened upon Hogwart’s a cappella group, which was actually pretty cute. But they also have Durmstrang and Beauxbaton students perform too! I really just loved walking around and taking in all the little details that were spot-on. 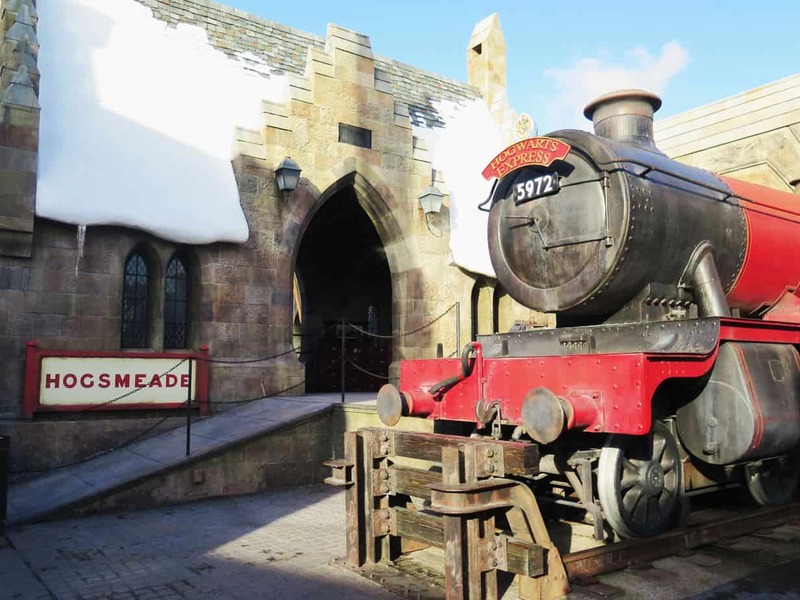 After you’ve explored Hogsmeade to your heart’s content, it’s time to get in the queue for the Hogwarts Express! Again, Universal spares no expense when it comes to details. 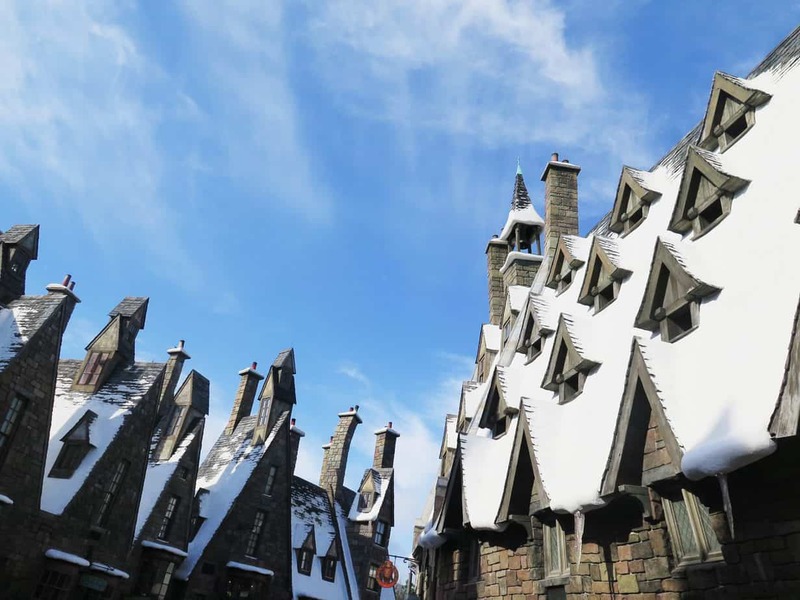 From the conductors to the train itself to the cabins inside, everything is straight out of the Harry Potter world. Oh and the help of special effects makes the train ride a ton of fun! Since this was later in the day when we got to Diagon Alley, it was very crowded. We didn’t bother getting in line for anything because they all had wait times of over forty minutes (which truthfully is not long for Universal, but too long for us!). Instead we walked around and hung out at the Knight Bus for a bit, getting a lay of the land before really diving in the next day. 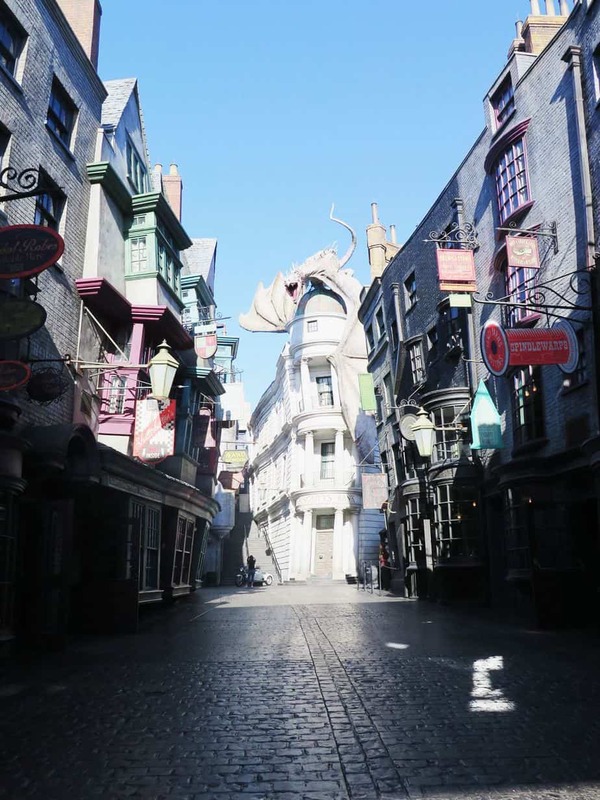 The next day we again used our early admission passes to get into Diagon Alley. It really helped a lot – you can kind of see the difference above and below. 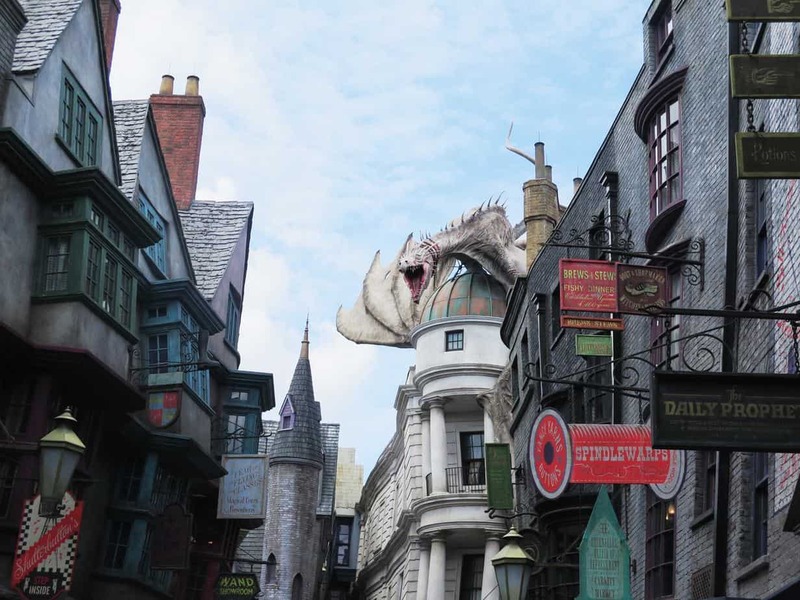 We headed to Diagon Alley’s only ride, Escape from Gringott’s. 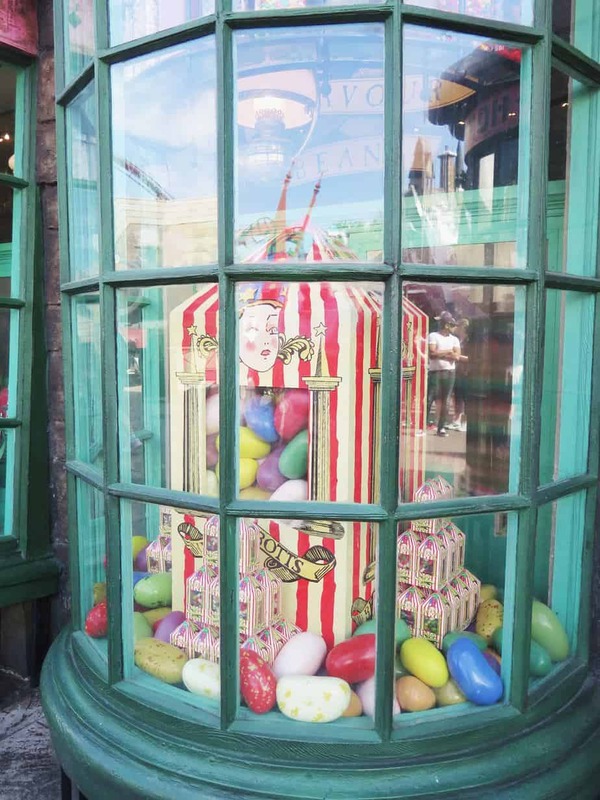 Like Harry Potter and the Forbidden Journey, the queue takes place inside the immaculately decorated Gringott’s bank, with animatronic goblins side-eyeing you real hard. This ride is more involved than the Hogwarts one; there’s a drop at the beginning (but again, as a self-identified roller coaster weenie, it was totally fine!) and generally more action going on. You’re guided by the oh-so-handsome Bill Weasley (my favorite part perhaps?) but run into some dragons, trolls, and maybe a certain Tom Riddle too… Anyway, this was a super fun ride too, and we rode it multiple times as well (gotta get it in while the queue’s short!). The line for The Leaky Cauldron was crazy long, so unfortunately we didn’t get to try it out. 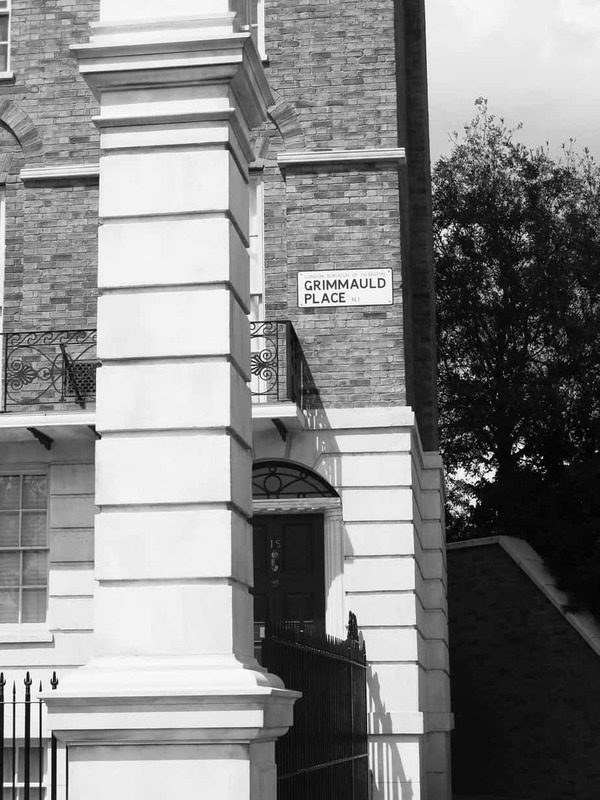 Again, the best times to go are first thing in the morning or late in the evening if you want to avoid queues. 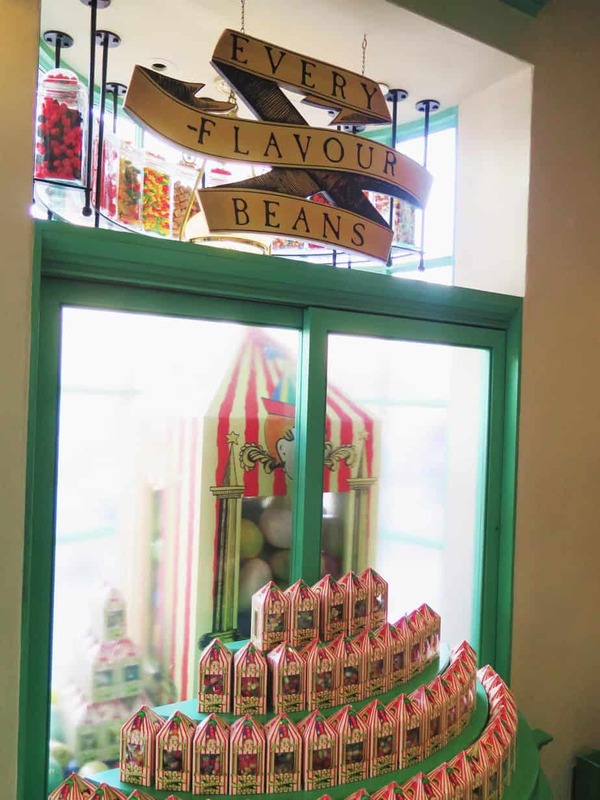 But there are also food stands (The Hopping Pot) and Florean Fortescue’s Ice Cream Parlor. We were just happy to fill up on frozen Butterbeer again as we wandered into the shops. 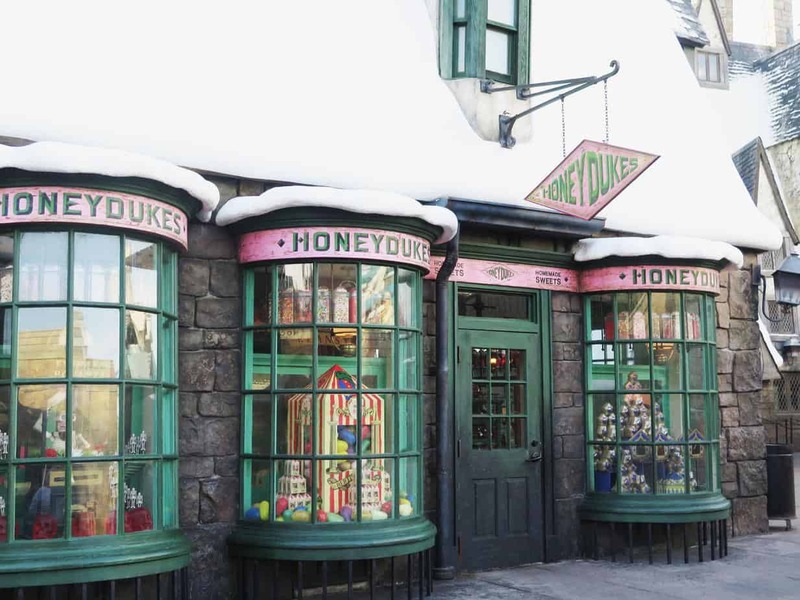 Diagon Alley has more shopping options than Hogsmeade: Weasley’s Wizard Wheezes, Borgin and Burkes, plus basic gift shops full of apparel, toys, and memorabilia. You can also enter into the Money Exchange and chat with a goblin (he wasn’t very helpful when I asked him about the exchange rate, though). Like I said, we weren’t too keen to eat in Harry Potter world, so luckily CityWalk is literally bursting with options. Everything from the classic Hard Rock to sushi to seafood to Italian to a chocolate emporium. Of course, we tried out the latter, and it was pretty good! I had a quiche and the chocolate brownie milkshake, which was a bit rich even for me! I’d still say the best food of the trip was all at our hotel, the Loew’s Portofino. CityWalk, though, does have mini-golf and bowling which is how we spent our evenings! Oh and eating Cold Stone ice cream, too. So that is my lil guide! If you’re feeling overwhelmed – then basically: stay on site, buy the park-to-park pass, get an interactive wand, LIVE OUT ALL YOUR CHILDHOOD DREAMS!!! **Note from Sarah: This is a very timely post as I’ve scheduled it for when I arrive in Florida! 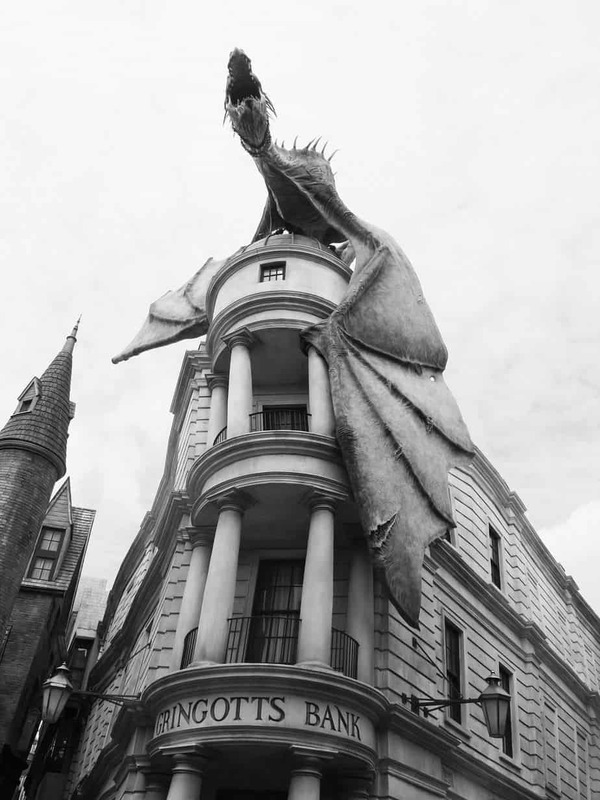 I won’t be going to HP World but ooohhhh how I wish!! As usual, linking up with Lauren of Lauren on Location, Van of Snow in Tromso, Isabel of The Sunny Side of This, and Marcella of What a Wonderful World for Wanderlust Wednesday! 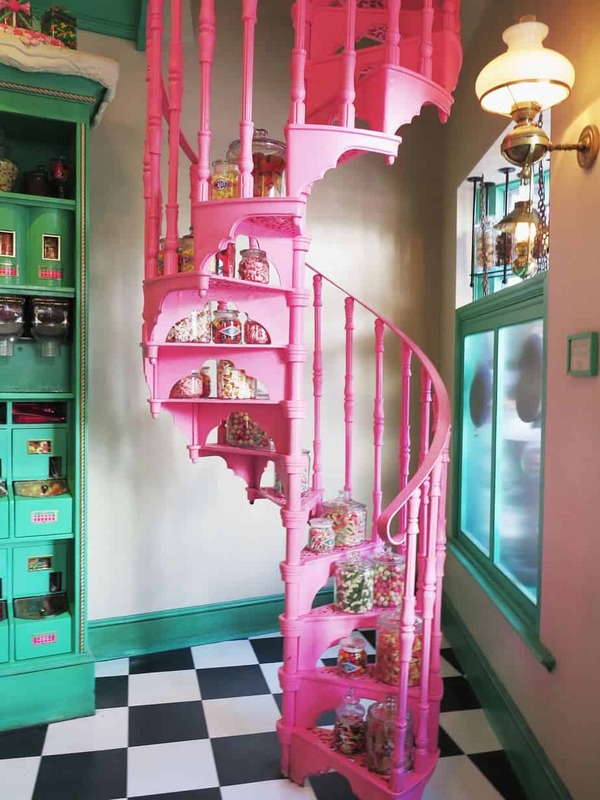 And, if you love Julia’s writing and photos as much as I do, you can peruse her blog, The Style Hive. You can also follow her on Bloglovin‘, Pinterest, Instagram, and Twitter. Thanks again, Julia! !